A part of The Healing Sounds Deep Weight program, these powerful sounds were originally intended for use with that course only. 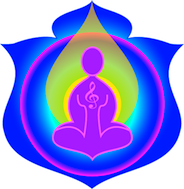 As a special release they are now included in the Practitioner levels of The other Healing Sounds courses, although they are not generally available for client use except when supplied with A The Healing Sounds Deep Weight consultation. So we decided many years ago! Now available for sale this is a great conjunct to a weight or gym program. With the development of the Deep Weight Program to address the deeper issues of holding onto weight, and why diets do not work, Susan and I discussed the fact that most weight reduction programs deal with the issues of releasing the excess weight but do not deal with the often “stretched and flabby” skin which remains. With Susan’s background in Science and Beauty therapy and mine as a “scribe” of words we brainstormed a way to ask the body to “firm up” as it released its excess levels of weight, and the Firm Up Your Body sounds were born. Comment from Susan – This sound is a favourite of mine, we had developed a program to deal with the energetic releasing of weight, when this is achieved (and often it can take several sessions to start the release), the physical weight usually begins to release as well. ​What annoyed me being the guinea pig for most of our beginner trials, was that every time we tried something new, I gained physical weight and was getting quite distressed. This was how we knew there was another blockage, which needed attention. Then someone made a comment to me, that as we get older and release weight ‘What about the loose skin?” – I hadn’t contemplated that and as Sheila said that is how ‘Firm up your body’ came about. As you release weight energetically, physical release usually follows but it will be at a rate that is right for you and that you allow. So don’t expect 10kg to cleave off after a month, it is better to use a tape measure and know that you are in it for the long haul. ​Sometimes you will measure far less but the scales remain the same. Firm up your body will greatly assist with tightening up the ‘flab’. I also play this sound to assist someone to ‘firm up’ on an idea or a direction – useful for business people. Originally only available through a The Sounds from Source Weight Consultation with a trained Weight Consultant appointment, we have decided to release this sound for sale.